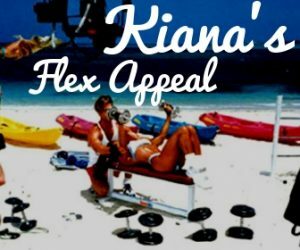 Here is one of my favorite recipes that I have been making ever since the bodybuilding & Kiana’s Flex Appeal days! Now I make it for my kids and they LOVE it! It’s a wonderful BASE to use a zillion different ways! Fill a baked potato and sprinkle a little cheese on top and bake 350 10 min. I make this every week and keep it in the refrigerator to add to lettuce wraps, in taco shells, in pita bread, put on pizza, or stuff bell peppers. It’s great for lunches and to put in air tight containers to enjoy with baked tortilla chips for lunch on the go. I love topping it with hot sauce, low sodium soy sauce or amino soy sauce. You can use as much or as little of the ground turkey, brown rice, black beans or corn as you like. You don’t need to measure. I like extra turkey and veggies in ours. Enjoy! Heat 1 tsp. oil in pan, add onion and garlic until brown. Add ground turkey to pan and brown. When brown, turn down heat and add diced bell pepper, frozen peas (or asparagus, broccoli…)corn, black beans, salt, pepper. Fold in brown rice.